Online pre-sales (ticket + book) on sale November 1 at harvard.com. $5 Tickets on sale November 15 at 9am. Unable to attend? Order the book(s) or pre-order a signed copy from Harvard Book Store. No Brattle Passes. Harvard Book Store welcomes back the cast of America’s Test Kitchen for our annual ATK event at the Brattle Theatre. JACK BISHOP, JULIA COLLIN DAVISON, BRIDGET LANCASTER, LISA MCMANUS, and ADAM RIED will present ATK’s latest cookbooks, including the evening’s featured title, Cook’s Science: How to Unlock Flavor in 50 of our Favorite Ingredients—the all-new companion to the New York Times–bestselling The Science of Good Cooking, highlighting 50 of our favorite ingredients and the (sometimes surprising) science behind them. Each chapter explains the science behind one of the 50 ingredients in a short, informative essay—topics ranging from pork shoulder to apples to quinoa to dark chocolate—before moving onto an original (and sometimes quirky) experiment, performed in our test kitchen and designed to show how the science works. The book includes 50 dynamic, full-page color illustrations, giving in-depth looks at individual ingredients, “family trees” of ingredients, and cooking techniques like sous vide, dehydrating, and fermentation. The 400+ foolproof recipes included take the science into the kitchen, and range from crispy fried chicken wings to meaty-tasting vegetarian chili, coconut layer cake to strawberry rhubarb pie. Our featured book for this year’s ATK event is the new Cook’s Science, which will also be for sale at the event for 20% off. Pre-sales tickets will each include a copy of Cook’s Science. ATK will be providing treats for attendees to sample during the event! 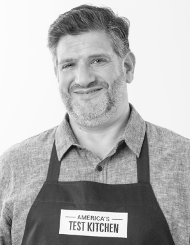 Adam Ried is an original cast member and keeper of the Equipment Corner on both America’s Test Kitchenand Cook’s Country from America’s Test Kitchen, and a frequent magazine contributor. Adam cut his gastronomic teeth with a culinary certificate from Boston University and ten years in the test kitchen, developing and editing recipes and feature stories and leading Cook’s Illustrated’s renowned kitchen equipment-testing and ingredient-tasting programs. An unchecked cookbook addict (and author), he is a regular cooking columnist for the Boston Globe Magazine and ChopChop. He has taught cooking and food writing, and has written for numerous local, national, and international publications. 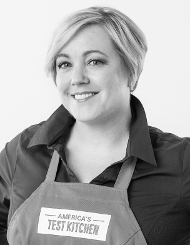 Bridget Lancaster is the executive editor for new media, television, and radio at America’s Test Kitchen, cohost of America’s Test Kitchen, and an on-screen test cook for Cook’s Country from America’s Test Kitchen. She joined the Cook’s Illustrated team in 1998 and is an original cast member of both television shows, as well as a cohost for America’s Test Kitchen Radio. 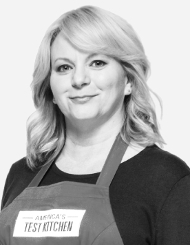 Bridget currently serves as the lead instructor for the America’s Test Kitchen Online Cooking School and helps develop and produce courses for the school. Her earlier career led her to cook in restaurant kitchens in the South and Northeast, concentrating on pastry. 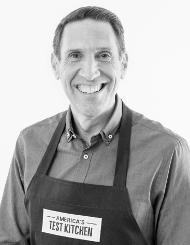 Jack Bishop is the chief creative officer of America’s Test Kitchen. He was part of the original team that started America’s Test Kitchen, beginning with the launch of Cook’s Illustrated in 1993. Jack directed the launch of Cook’s Country magazine in 2005 and the building of the company’s book publishing division. He is the tasting lab expert on America’s Test Kitchenand Cook’s Country from America’s Test Kitchen. Jack leads the creative teams working on the company’s television shows, magazines, books, websites, and online cooking school.Jack is the author of several cookbooks, including Vegetables Every Dayand The Complete Italian Vegetarian Cookbook. Julia Collin Davison is executive editor for the book division of America’s Test Kitchen, cohost of America’s Test Kitchen, and an on-screen test cook for Cook’s Country from America’s Test Kitchen. She began working as a test cook for Cook’s Illustrated in 1999 and is responsible for the food and recipe development for all America’s Test Kitchen cookbooks. She holds an A.O.S. degree from the Culinary Institute of America and a B.A. in Psychology and Philosophy from SUNY Albany. Before coming to America’s Test Kitchen, Julia worked in Albany, the Berkshires, San Francisco, and the Napa Valley at several restaurants, catering companies, schools, and wineries. Lisa McManus is an executive editor in charge of equipment testing and ingredient tasting at Cook’s Illustrated and Cook’s Country magazines. She researches and writes about kitchen gear and food, and she’s the on-screen gadget guru for America’s Test Kitchen. 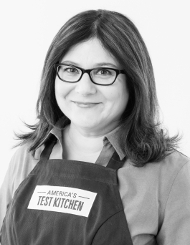 Lisa joined America’s Test Kitchen in 2006, after working as a newspaper food editor and a magazine and newspaper journalist in Boston, New York, and Palo Alto, California. She is a graduate of Brown University and the Columbia University Graduate School of Journalism.